Paul Lawler's (a.k.a. Arcane & C-60) latest release OPUS is the type of album you might hear in a '70/'80s science fiction film. Utilizing spacey vintage synths with smooth beats, as well as including use of the theremin and electric guitar to round things off, OPUS delivers. The sound of OPUS is reminiscent of Vangelis (responsible for the score of Blade Runner), and rounded off beautifully with Zlatko Perica's (Tangerine Dream's guitarist for a number of years) great prog-rock melodies. 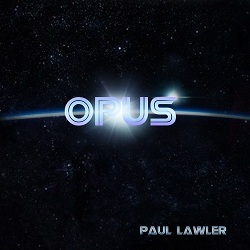 Kicking things off with an intensely climactic first track "Opus", Lawler sets the tone and begins to take you on a journey through the cosmos. The shear scale of this album is astronomical, with tracks ranging from uplifting and triumphant to dark and melancholy (and everywhere in between). You can grab your copy of OPUS via Bandcamp, available now. Very powerful music, love it. Yet another classic by Paul Lawler/Arcane. People tend to ignore the new names in favor of buying anything and everything from the old so called legends who are just not up to the job anymore. Time to step aside Tangerine Dream, Jarre, Schulze etc and time for people to open their ears and minds to the new breed !